For the first time, Latin American Art Pavilion and Car2Go have partnered to provide artists and their guests a flexible, efficient and economical way to get around Miami. An extensive network of smart cars are located throughout the city and can be accessed by members 24 hours a day, 7 days a week. Vehicles can be located via cell phone or Internet and rented spontaneously by accessing an available vehicle on the street or reserving the vehicle 24 hours in advance. Wherever your destination may be, you may use the vehicle for as long as you like. To terminate the rental you simply park the vehicle either in any nonrestrictive on-street parking area or at one of the dedicated car2go parking spots. Members are not required to return the vehicle to where you initially picked it up. Quite the opposite, one way driving is welcome at no extra charge. Participant Artists and Project Members’ Plan. Bonus: $10 dollars off and 1 free hour of driving time, courtesy of Maria Enterprises of South Florida. Bonus: $10 dollars off and 30 minutes of driving time, courtesy of Maria Enterprises of South Florida. 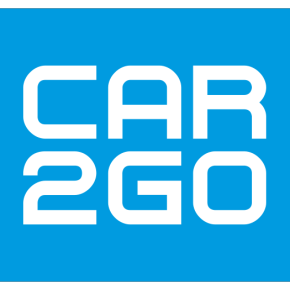 Car2go sign up is required ahead of time. If you have an International Driver’s License, please proceed with this registration form by filling out your driver’s license number and expiration date as is. Please keep the issuing State as the same State as the car2go location in which you are registering. If you have an International Driver’s License, please contact the licensing authorities of your Country for a current driving history (in English) of the past 3 years. You may email this to car2go at registration-support-US@car2go.com.